Gabriel sat with his friends, looking out at the desolate boxes of dirt and lack of green anywhere on our campus. He proposed to the administration, "What if I created a garden for the school? I know how to do it." 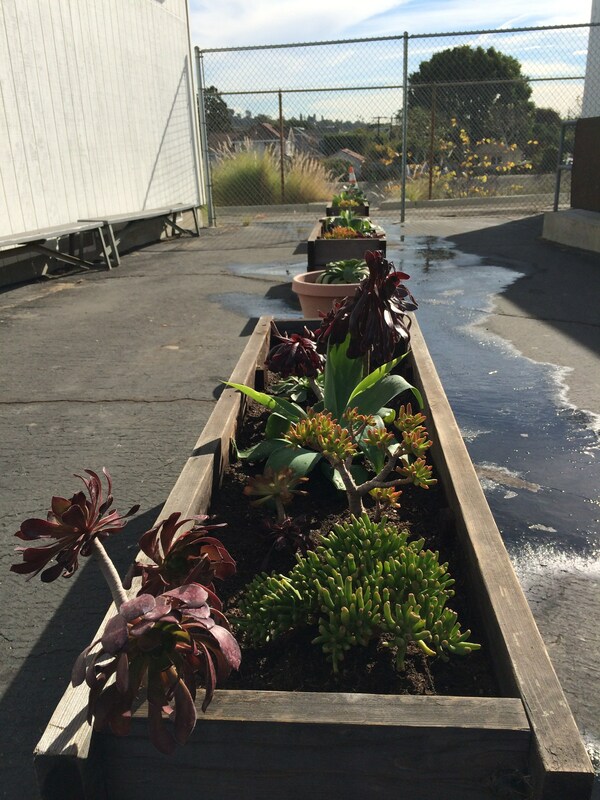 The rest is history now: Gabe planned, designed, procured, transported, planted, and now maintains our own drought-resistant garden, along with a small team of dedicated students that he mentors in the care and maintenance of our beautiful, "Gabe's Garden." We are hoping to raise funds to hire a teaching artist and the requisite supplies to paint a mural on the white slate of a bungalow wall next to the garden.